The heavily teased 11th generation Toyota Corolla is now official. The facelift-ed version of the Altis, Indus Motor Company (IMC) is targeting the Honda Civic X which has been gaining popularity recently. New quality of life and design changes are included in the new Corolla although no performance upgrades or additions have been added. Lets take a look at the new Corolla Facelift model. The overall profile of the car is pretty much the same. However the redesigned headlamps and front grille give it a sportier and svelte look. The grille meshes together with the daylight running lamps, giving the Altis a streamlined front. New features include bi-beam LED headlamps replacing the halogen lights on the current model. Sides on the Altis remain mostly unchanged. 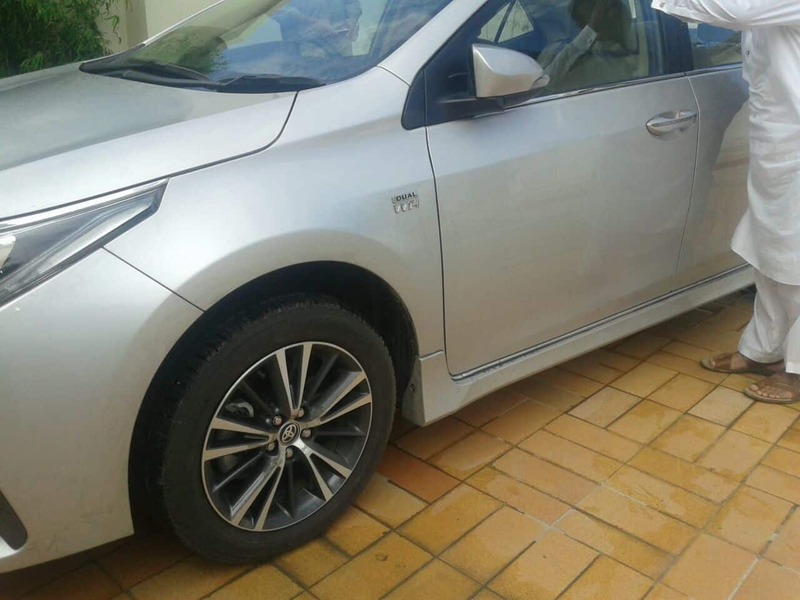 New 16 inch Aluminium rims replace the 15 inch wheel caps for the Altis variants. The wheel cap stays for the XLi and GLi. The side mirrors will now tilt downwards when you put the car in reverse to help you navigate narrow parking spaces easily. 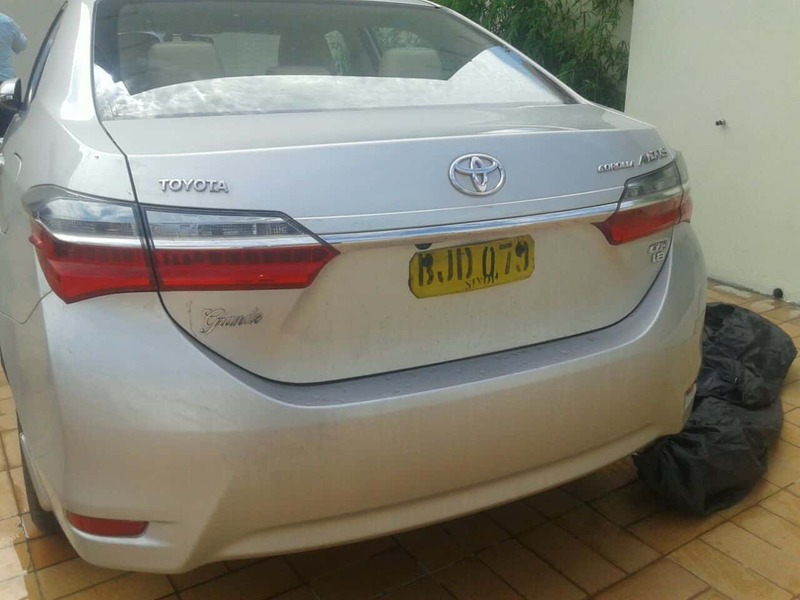 The rear lamps look similar to the Altis of old. Chrome detailing on the rear lights was added in addition to a redesigned LED lamp to give a 3D look for the outer lens. Moving towards the inside you’ll notice that the dashboard looks the same as before. Toyota points out that the soft textured material uses a double layered design. The joints and parting lines are hidden from view to give it a seamless feel. The infotainment system has been upgraded with a 9″ TFT touchscreen complete with 3G/4G and a WiFi hotspot. It includes a front and rear camera and a web cam. USB ports are available on the front and back seats both to let you charge your phone on the go. The air conditioner controls have been refined as well. Frequently used switches have been replaced with toggle switches for easier operation. A high contrast LCD display has been used for the climate control display for better visibility. Although the engine variants are the same as before, drivetrain has been altered for most of the Corolla models. A new sport mode has been added which emphasizes responsiveness and acceleration over comfort. New linear start assist (not available for 1.3L models) determines the drivers’ intentions by how hard they push the accelerator and switches the sensitivity of the pedal accordingly. Official prices for the cars haven’t been revealed yet, however the price tags are expected to be Rs. 90,000 to Rs. 150,000 above the base price. somebody gift it to me!!! 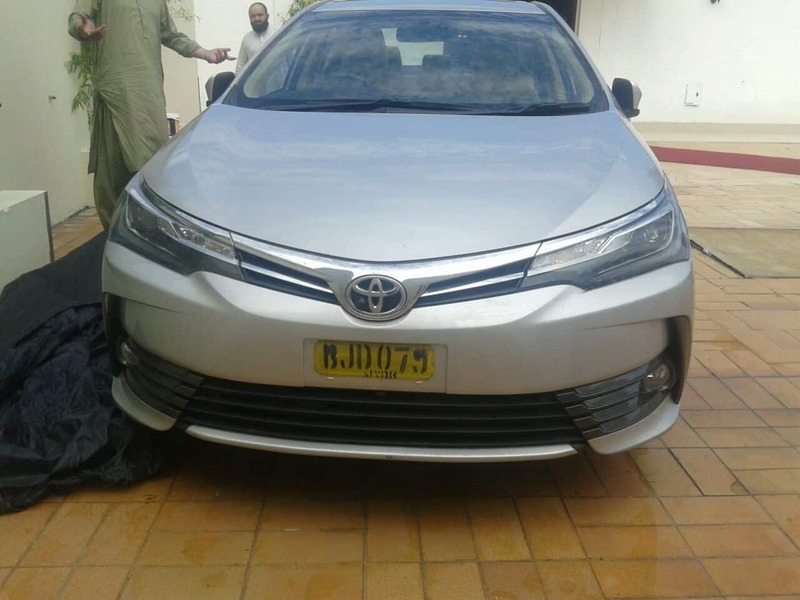 We should stop buying those products from those companies who did bring change in other countries but not in our countries……..
Thats y ppl go for Japnese used cars. what a low quality disgusting looking car. Toyota should be ashamed of themselves. This car will not even make it to the market in Europe or even in Japan. To save cost they have cut so many corners and the Toyota cars have so many manufacturing faults but no car is ever recalled as they have a monopoly. The corrupt democratic govt has given these car cartels free hand to loot people of Pakistan and provide them with substandard car. I will happily import a Toyota Vitz than a low quality car like this. Lastly Pakistan should manufacture their own cars and stop this dakaitee in broad day light. I guess we will only see that day under the Khilafah.